Thanks to the events of November 22, 1963 in Dallas, we don't put U.S. presidents in convertibles anymore. But the black 1961 Lincoln Continental presidential limousine was actually the second convertible President John F. Kennedy rode in when he arrived in Texas. Now you can own the first. Up for grabs at an upcoming RR Auction is this white 1963 Lincoln Continental, which despite not being the official presidential limo was used to used to transport President Kennedy, First Lady Jacqueline Kennedy, and Texas governor John Connally from Fort Worth to Carswell Air Force Base, where they boarded their short flight to Dallas on the morning of the assassination. The white Lincoln was owned by Bill Golightly of Golightly Auto Sales in Fort Worth for use by the president while he was in town. It has since been "painstakingly" restored by a Lincoln specialist in Connecticut; it spent most of its life in the now-closed Museum of American Tragedy in Florida, which is a really morbid idea for a museum. 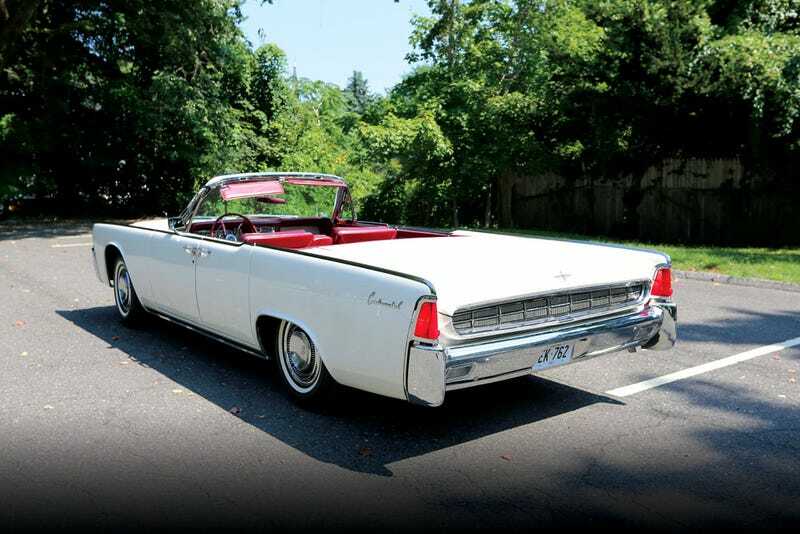 The starting bid on the Lincoln is $50,000, and we can safely expect it to rise considerably higher than that. It's a part of American history, albeit a very sad and dark chapter, and it's also a beautiful machine harks back to the golden age when Lincolns were big and brash and stylish and fit for a president. Let's hope it finds a good home and they've got their history in order.